The Legacy of Laura Ingalls Wilder 20% OFF DVD Coupon Code! You are here: Home / Coupons and Deals / The Legacy of Laura Ingalls Wilder 20% OFF DVD Coupon Code! Little House on the Prairie has created a special coupon code for educators (yes – homeschoolers included!) 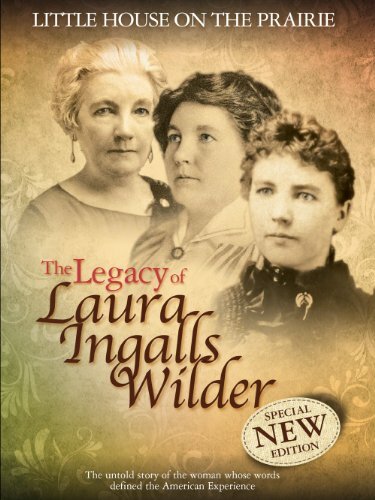 to get 20% off the DVD on Amazon of The Legacy of Laura Ingalls Wilder! ~ Select “Add to Cart” and then “Proceed to Checkout” to review your order. ~ If applicable, enter your shipping address and select your payment method. ~ Enter the code LHSCHOOL into the empty box labeled “Add a gift card or promotion code”. Click “Apply”. ~ You will see that the 20% discount has been applied. Then select “Place Your Order”. Note – Coupon expires 12/1/2015. Click here for The Legacy of Laura Ingalls Wilder!